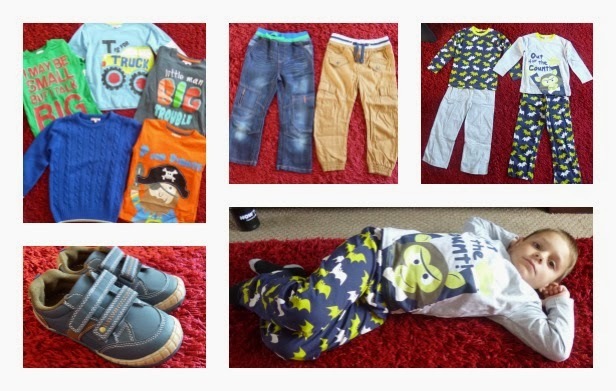 I am always searching for good quality childrens clothing for the winter months. Something to keep them warm but still look nice too. Products that look truly British and have the quality to match. well, that's where Lucas Frank come in. They sell boys t-shirts, polos, hoodies and sweats which all feature their trademark nautical logo of a lighthouse. 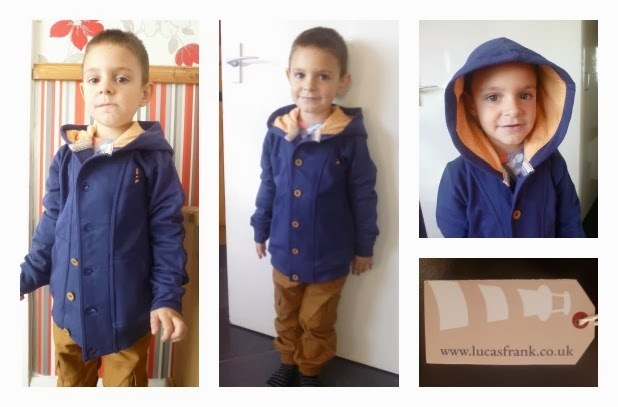 All of the Lucas Frank garments have been designed by some of the best designers and using the finest materials too. They are obsessed with the perfect details and so you’ll find that every button, every stitch, everything has been made with care and attention. 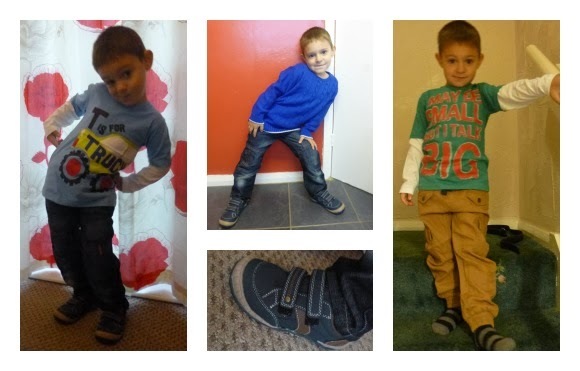 At the moment they are strictly a boys range making items from 18 months to 10 years old. We were sent a Squirrel Point Hoodie in Navy to put to the test. The navy colour is bold yet still bright and the coordinating peach lining matches perfectly to bring out its fun side. The monogrammed buttons and the embroidered logo show off the true quality of the item. All of the seams have been double stitched to ensure that they will last the years and the hoodie is machine washable up to 40 degrees and, after washing it now a few times, I can assure you that it comes out just as nice as it went in. Still bright and still in shape. 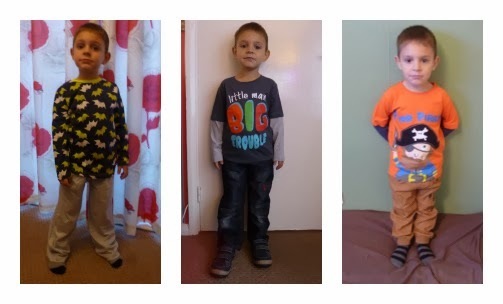 Thomas is tall for his age and so we picked size 5-6 years and this fits him perfectly. I would definitely recommend Lucas Frank to all of my friends and lovely readers and at the moment, they have a 50% off promotion running for Christmas so get in their whilst you can! One thing the boys always try to do is to play with my laptop. Every time I leave it, even for just a second, they will jump onto it and tap away, usually posting randomness to Facebook. 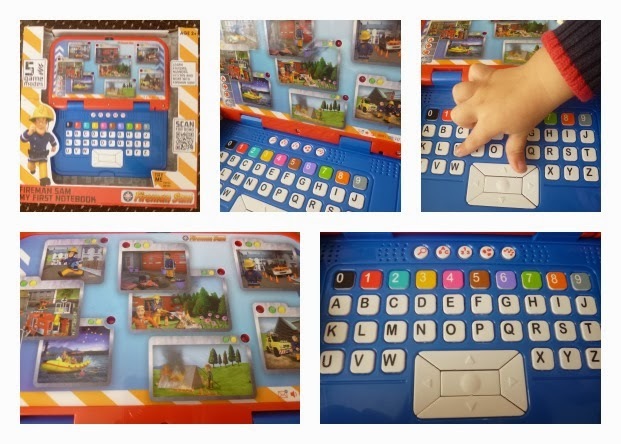 So I have been on the lookout to find childrens laptops that not only look like the real thing but have a childish flare too. 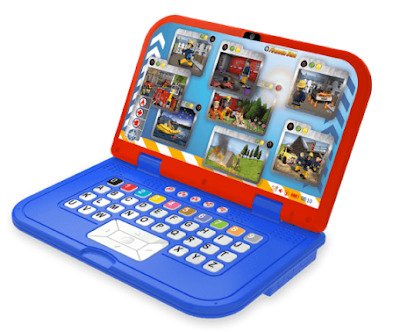 The Fireman Sam My First Notebook looks just like a real laptop as it has the classic fold function, with eight folders on the desktop depicting scenes from all of the rescues taking place in Pontypandy, as well as a full alphanumeric keyboard and working mousepad too. Thomas can easily work the laptop too by using the mouse to navigate through the folders and play one of the four games on it. He can choose between learning character names, fun facts, numbers, colours, letters or listening to music. I love the look of this laptop because it is bright and stands out which is always good for children. The voice speaks loud and clearly so that Thomas and Charlie can easily identify what it is talking about and I also like that whilst you are learning about Fireman Sam and everything to do with the cartoons, it is also helping to educate in numbers and colours too. Thomas likes to listen to it and copy the facts and also point out who everyone is. He enjoys the fact that it is all based around Fireman Sam, as he is Thomas' favourite character, and points out that it is usually 'Naughty Norman' that causes the fires. Overall, this is a top toy and one that both boys will enjoy for time to come. Check out the KD UK website to find out more about their ranges. 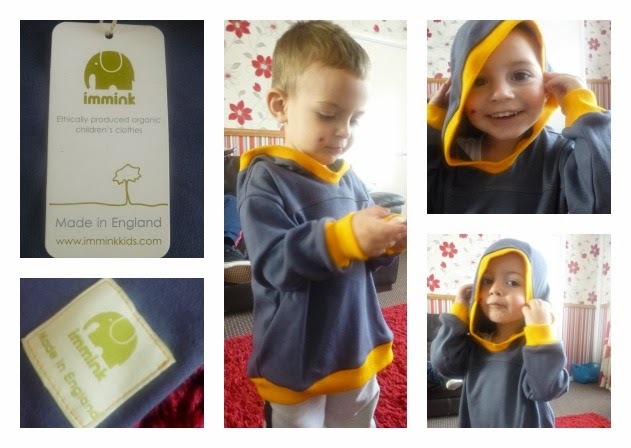 Immink Kids are a childrens clothing company that create gorgeous clothes which are organic, made in the UK and are environmentally friendly too. Their inspirations come from the great British countryside and they want to make clothing that children can enjoy and be comfortable in that are of great quality. Made in Norfolk, each piece of Immink clothing can be enjoyed throughout that years as all the fabrics have been designed to wash well, age beautifully and last the years. 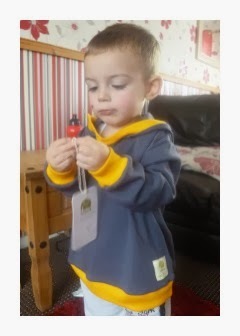 We were asked to pick our favourite piece from their selection and after much deliberation, I decided on a gorgeous Jersey hoody for Charlie. This 100% organic cotton hoody is a gorgeous navy colour but looks a bit more blue/greyish on. It has contrast rib jersey trims in a bright yellow, sunshine colour and is marked with the Immink logo. It has been made from a soft and cosy cotton jersey which is not only comfortable to wear but also will keep Charlie warm on chilly days. Usually, I would hate to purchase items that have a mix of colours like this as I would be afraid of the colours running and fading but Immink say that the hoody can be in a machine wash at 40 degrees so I took no time in testing that out. I was really surprised to see it exit the washing machine still bright and no running at all and still in shape. Even now after a few washes and being wore outside and covered in mud and chocolate, it still looks brand new. I must admit that I do love this hoody, the colours are lovely and compliment each other beautifully. The quality of the hoody makes me confident that it will last the years and, once Charlie grows out of it, I will be able to pass it to family members who will be able to use it for years to come. The Immink Hoody, priced at £30, is a little more than I would usually like to pay for clothing for my children but actually, I think that an investment piece like this that will be in use over and over, it is not a bad price at all. 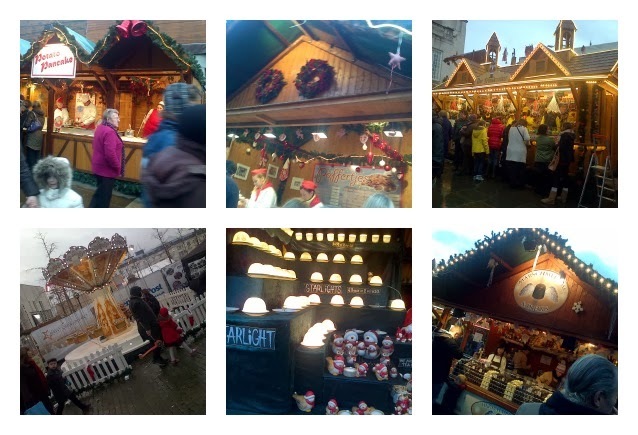 This week we have had fun at a traditional German market. The Christkindelmarkt German Market is at Millennium Square in Leeds every year and runs from the middle of November till the middle of December. Even though I have lived in Leeds for all of my life, this is the first time I have ever visited it. Christkindelmarkt in Leeds is one of the most established German Christmas markets in the UK and has wooden stalls, carousel rides and traditional German food and drinks. There are over 40 stalls and rides and fun for the whole family. With seasonal gifts, hand-crafted toys, jewellery and festive decorations. The speciality foods from Germany like bratwurst sausages, goulash, soups, stollen and gingerbread go down a treat and there is even a German bar, selling ale and lager, although I didn't try these as they were mega strong. It was great to be out in town and seeing all of these lovely stalls and rides. 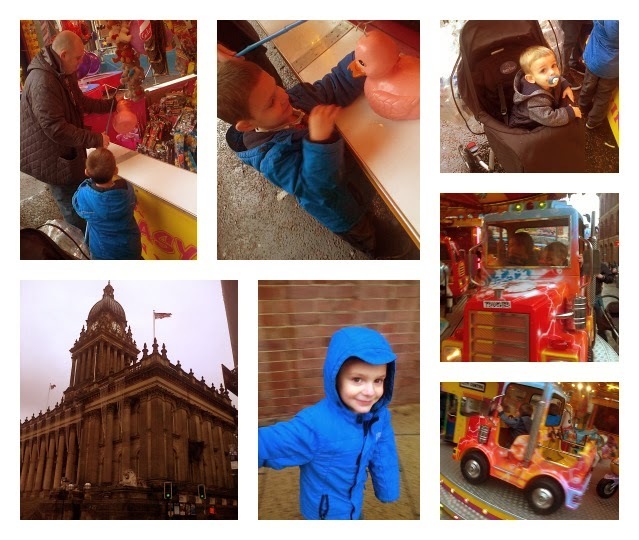 Both the boys got to go on a few of the rides, the carousel had cars and vans as well as horses on it and Thomas loved driving his truck (round in circles) whilst Charlie chuckled as they were going round. I loved the gifts that were all handmade. These lovely Starlights which were like small white domes with a candle inside. Each dome had been carefully cut out into stars and snowflake patterns and were really pretty. They also had gifts for men which were made out of nuts and bolts that had all been welded together. One was made into a big motorbike and I know my dad, being a biker, would love one of these. I will definitely be popping back into to get one for him. Further along were more stalls, hook-a-duck and darts games. Thomas managed to hook a pink duck and won a pirate set which he loves and then daddy had a go at the darts and won a minion toy which Charlie claimed. After our fun and frolics around the Christkindelmarkt German Market, we had a walk down past the Leeds Town Hall and towards the Trinity Centre for some lunch. Deciding to try somewhere new, we popped into TGI Fridays as none of us have been there before. Yummy burger and chips went down a treat. I got a beef burger and Simon went for a chicken blt which was huge. Even the boys kids meals were big too and they enjoyed the veg fingers. We will definitely be popping back to the Christkindelmarkt German Market again this week but without the children and I cannot wait to sample some of their foods and drink too. The boys have way too many Christmas things but when I see them, I just can't help myself and have to buy them. Funky jumpers, funny looking hats and now cute shoes too. Inch Blue have a huge selection of childrens soft-soled shoes that are funky and bright. They are a family run business based in South Wales and they make their shoes knowing that all of the components are the very best quality available and environmentally friendly too. Inch Blue shoes have been designed to give total comfort for little growing feet. They are made exclusively from soft natural leather allowing your baby's feet to breathe. I am always talking about and telling people how young children should not be wearing hard shoes as they can affect how feet grow and cause problems in later life and so to hear that a shoe company are thinking about this too is great. Their range of fun, fresh designs is what they are best known for with over 100 different styles to choose from and all made within the UK. The only choice you have is what design you will pick. From princesses and animals, to sporty styles and farmyard friends, there really is a pair suitable for everyone. And now they even have a Christmas range too. When I got in touch with Inch Blue, they were very pleasant and happy for us to work with them in doing a review of their Christmas range. After chatting away, we decided on a pair for each of the boys. I couldn't choose from them and all resorted to asking the boys themselves to pick. In the end it was Red Rudolf ones for Thomas and Baby Blue Penguin ones for Charlie. Both pairs can be purchase in various sizes to fit from newborn to up to 6 years old. It is nice for a company to think of the older children that might want funky designs too. Once ordered, the shoes are put into production and then sent out. We weren't waiting very long at all for them to say that they had to be cut, stitched and fitted together before being sent out. They come in clear plastic bags with a press-stud fastening so you can see the bright designs straight away. I quickly took a photo of them in their packaging before the boys pinched them off me to try on. Thomas loves his reindeer shoes with their bright red design and funky reindeer stitched lovingly onto the front. The reindeer has a sparkly nose to make them extra special too. Charlie loves his 'peggin' (penguin) shoes and every time someone comes to visit us, he grabs them and wants them on straight away to show them off. The suede non-slip soles are fantastic for when the boys are running around the kitchen as they stop them for slipping over and the elasticated ankles means that they fit better and stay on too. Overall I can say that myself and both boys are happy with these shoes. The quality, durability and the thought that have been put into them makes them perfect for young children and the quirky designs and bright colours appeal to young children too. Aquadoodles primary function is to enable children to have a fun place to draw and release their imagination but that is also mess free. I'm sure we all know just how easy children can go from drawing in a book to drawing on the walls and making a mess. Aquadoodle combats this as there is no ink in the pen, it is just simply water and so will not leave marks on walls or flooring. I have always been a fan of Aquadoodle because of this an this new one is no different. The Jungle Magic Sounds Aquadoodle has all the magic of the original Aquadoodle but also makes animal sounds as children are playing with it. Press the end of the pen to hear noises and then place the pen onto the special areas on the mat to hear animal sounds, roars, drums and monkey noises too. 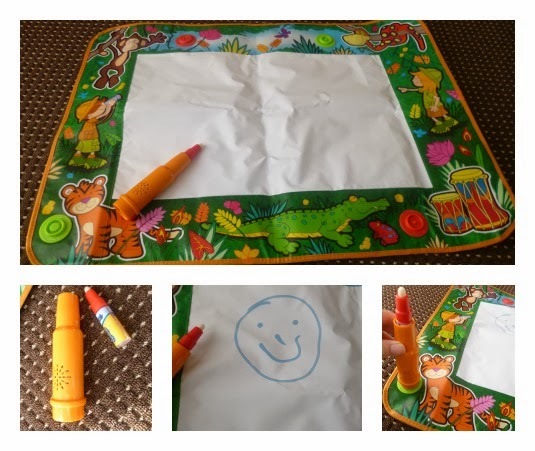 Rather than drawing pictures and then having to start again on a fresh piece, Aquadoodle lets children carry on being creative as you simply draw on the mat and not long after the water fades and then disappears leaving a fresh space to draw again. I love the jungle theme and the boys love it too. Thomas likes to press and area on the mat, hear what noise it makes and then try to recreate that noise through imagery, sketching out the animal or item that makes that specific noise. The Jungle Magic Sounds Aquadoodle has an RRP of £24.99 but if you shop around and compare prices online you will probably be able to save a few pennies. After being bored of the same old planners being on sale, Personal Planner was born. This is a website which allows you to make your own design of personalised planner to suit yourself. You can choose the colour and picture on the front of the planner and what text it will say too. 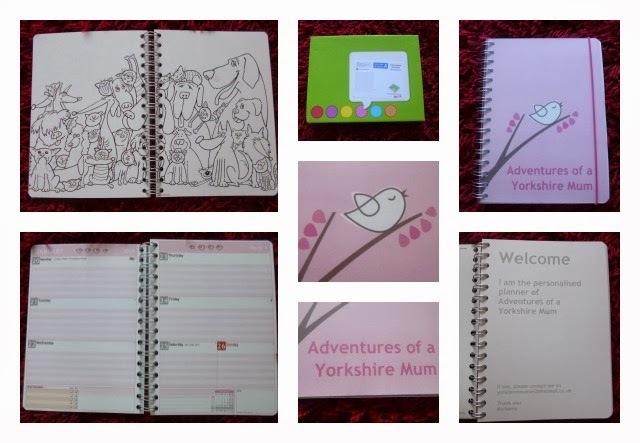 The twelve month,weekly planner can then be customised inside with a whole host of add-ons too. There are 4 different sizes to suit so you choose the one that will fit you best and then pick layout and the extras to go inside like a notes section or a to-do list. You can also have a little colouring section at the back to keep children amused if you want or just leave it blank for spares pages and making lists. I must admit that I found the whole experience very easy and simple to do. Their website walks you through every aspect of designing you own planner, right down to the last detail. You get to choose everything. I went for size A5 which is £19.99 and is the perfect size for me. There are then smaller and bigger ones to suit too. Choosing what month and year the planner starts, the pictures and colour on the front and back, the design inside, even right down to the colour of the ruler and the elastic. It really is thoroughly thought out. I decided to do mine for my blog as I am always forgetting what day posts should go live and events etc and so I thought having a planner would be a great idea. The first inner page you can write your own info, just in case you lose the planer, so that it can then be returned to you. Overall, I love my personalised planner. I love the fact that it is my specifications, it has everything I need in a planner and is my from very robust, thick paper which shows how great the quality of the product is. Now usually I would be a bit sceptical about getting flowers delivered through the post. We all know just how much damage can happen sometimes to the boxes and things and so I imagined that flowers would end up a bit battered too. 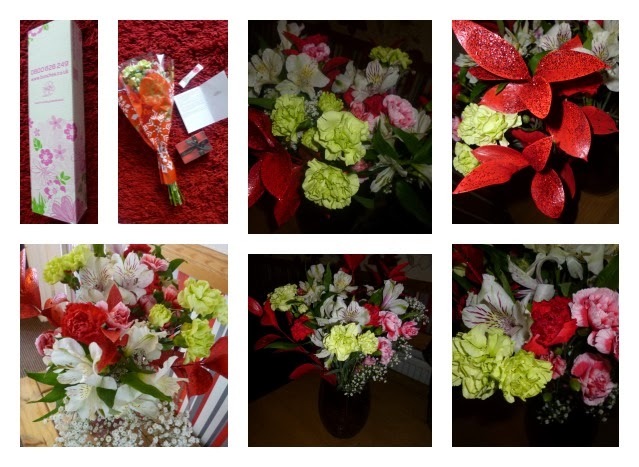 We were sent the Happy Christmas Gift bouquet to review from Bunches.co.uk which was delivered to us last Friday. Unfortunately, due to the fact that it was a school training day and we wanted to get out for the day, we weren't in and the flowers got sent back to the postal depot. I went to collect them on Saturday morning but being flowers I thought they would have started to wilt already, especially with being stuck in a sorting office for an extra night too. I was pleasantly surprised though. The flowers come in a small cardboard box, that when opened, the flowers bloom out and start to spread out. I think they are pressed quite firmly into this box to protect them and keep them held together better. I was happy to see that, even though they had been sent through the delivery system and spent an extra night at the sorting office, they were still looking fresh and pretty. The Happy Christmas Gift Bouquet contains Carnations, Alstroemeria, Spray Carnations, Gypsophila and finished with festive red glitter Ruscus leaf. The red and white of the flowers do stand out so much and feel so festive, it really did get me into the Christmas spirit. The flowers arrived with a small box of chocolates which I thought was a nice touch. The boys thought it was great too and spent no time at all in tucking into them. Now, I'm no flower expert so didn't have a clue how to sort them and arrange them correctly. Luckily, Bunches.co.uk had sent a little card with them which explained everything that needed doing. It also had a pouch of plant food too. Overall, I was extremely satisfied with the style, look and quality of the bouquet and at £19.99 (which includes delivery) I can see why this is one of their best sellers this Christmas time. 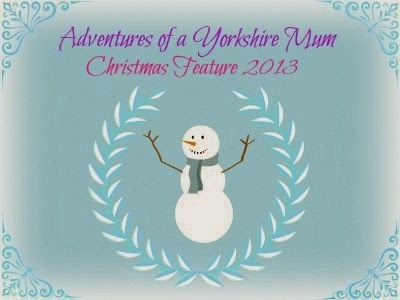 Just make sure that you order in sufficient time for Christmas delivery! Great Gizmos is a leading provider of children's fun, creative and innovative toys. They provide a huge range of top quality toys that kids will love to play with and they are always at competitive prices. They have tried to find the best toys and gifts from around the world and bring a huge range of products to their one website so there is something to suit every age. It was 1997 when Great Gizmos was established by parents who were sick of toys with no creativity and imagination. They wanted to bring toys that were based around the important things in life, like creativity and education but also fun at the same time. Thomas is obsessed with anything that is dinosaurs or dragons and so his eyes lit up when he saw this. This lunch bag is insulated to keep food hot and has a personalised name tag inside so that you will always know whose it is. This lunch bag was a retail price of £13.95 and has a dragon motif on the outside stands out with its bright green colour, orange eyes and wiggly ears. We have been looking for a while for a lunch bag that not only holds all of Thomas' dinner but also looks great and is suitable for a small child in its design. Thomas really couldn't wait to go to school and show off his new lunch bag and because it is insulated inside, this also makes it easier to clean as just a quick wipe and it's done. From the Classic NICI Wild Friends range, this Lion is a gorgeous plush stuffed animal that has a big fluffy mane and is so soft and snuggly. Since receiving this, Thomas has not let it go. He says that Lenny (that's now his name) is his best friend and must sleep with him and play with him too. Both boys love him and you'll usually find him snuggled up with one of them. This Dancing Alligator provides so much fun for all children. As you pull it along the carpet it bops up and down and makes a click-clacking sound. Charlie loves running around the room with this tagging behind him and watching it dance around. The alligator is made from natural rubber wood and finished with non-toxic water based dyes. It is made by Plan Toys who specialise in designing and manufacturing environmentally friendly toys. I love this as not only do you get to create fab snow domes but also you can attach photos and have something to keep at the end of it. All this for only £9.99 too. This craft set is marked as 5 years + as it does need a lot of sticking and cutting and so my boys are a little too young to try this one out but my nieces can not wait to come round to our house and make the snow dome frames. They want to make one and surprise my sister (their mum) with a lovely, handmade present. All in all, I think that Great Gizmos sell and awesome, huge range of toys that are suitable for all ages and I bet the site will be popular come Christmas time as you can get everything in one place. You can check out all of their ranges on the Great Gizmos website. We have reviewed some of the Play2Learn range before but are now back with another instalment from our TOMY Toys Official Blogger posts and this time we are doing the animal toys in the Play2Learn range. We were sent 3 toys from the range, Mr Owl Pop Out Puzzles, Peek a Boo Lion Cub and Cheesy Riders and these toys are suitable for children, I would say, around 1-3 years. This toy might look simple but is in fact many toys in one. There are 5 different themed pictures to make and all have a cute little animal on them. The 6th side of the cube has removable pieces for shape sorting. After you have got the animal the correct way you can then press down on Professor Owl’s head and see him blink and then all of the cubes will fall out. It is fun an educational as it is all about shapes sorting and learning where each piece goes. Press down on the lions head and his eyes will close and then music starts to play. Listen along to the soothing tone and then... POP!!! His eyes open and he giggles as the music ends. I like the fact that even though this toys ins't exactly something you can play with an control loads but it is similar to a jack-in-the-box and will keep children in suspense waiting for the cub to open his eyes and no doubt will have them in fits of giggles when he does so. Charlie loves pull along toys and this one is no exception. It has 3 fun mice which bump up and down whilst making a clinking sound as the toy is pulled along. The mice can also be taken out of their seats and given a shake and they will rattle. Although this is a fun toy to run around the room with, it is also educational as children can colour match the mice with the correct wheels on their cart and learn which goes where. These three toys are a big hit in our house, especially with Charlie, and I really do think that over time they will help him with learning his sorting and matching skills so not only does he get a bright, robust, colourful toy to play with but he is learning at the same time. I can imagine any children beaming with excitement if they received these on Christmas morning. 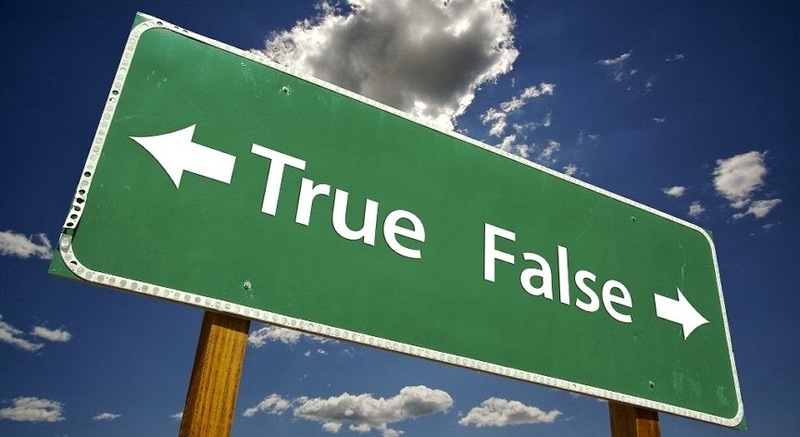 Parenting Myths: Fact or Fiction? Over the years, I have heard many parenting myths and have probably adhered to some of them too which not only sound weird but probably are totally made up. Us as parents though, want to do right by our children and bring them up best as possible so when we hear these weird myths, we feel like we need to believe them 'just in case'. If you eat your crusts you will get curly hair. Well that didn't happen with me as crusts were my favourite part of the loaf of bread and I have straight hair. If you have heartburn when you are pregnant your child will have thick hair when they are born. Against, totally false as I suffered really bad with heartburn when I was pregnant with Thomas and he was born with a minimal amount of hair. Children should be seen and not heard. Really? Are you being serious? That's probably what you would have believed if you'd raised a family 100 years ago and yet I still hear people saying it nowadays. Why should children bee silent? They are children. They should be shouting, screaming, singing, playing, getting dirty and having a great time because those younger years don't last long and eventually they'll be grown up and those years will have passed them by. Carrying your bump high means that you are having a girl if it's low then you are having a boy. Although I don't usually believe myths, this was actually true for me as both my pregnancies I had very low bumps and had boys so I guess this one is correct for me. Like in the video above, a big myth was that if children wear shoes, it will help them to walk earlier. I am sorry but I don't agree with this at all. I actually hate seeing babies and small children wearing shoes because they can affect the way their feet grow and can cause lasting damage, especially hard soled footwear, and so my tip is to always let children under 2 go shoe-less or wear soft soled shoes that wont bring on any bad effects. 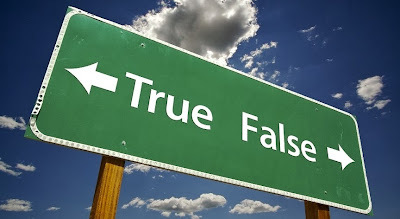 So, where can you go to get the real facts about parenting and bust those myths. Well CANparent are a new government initiative that are providing high quality parenting classes which will help to support the parenting skills of both mums and dads. The classes can cover things like routines and why they are important for children, why play is important, behaviour solutions and many more interesting topics that are great for parents to know. You can also like them on Facebook to see all of their upcoming classes and get advice too. Don't believe everything you hear and go on your instincts. You are the parent at the end of the day and you know best. If you play with your bellybutton, your bum will fall off! Stop pulling faces, if the wind changes it will stay like that! Isn't it weird that I actually find myself saying these now too! The baby accessories company, Funky Giraffe, have launched their latest exciting designs especially for Christmas. Gorgeous bandanna style bibs that cost £4 but, the more you buy, the cheaper they get and can come to as little as £2 per bib. I was happy to see the reasonable prices and so looked into the company a bit more. Funky Giraffe was set up in 2009 by Yasmin Drury who, having worked for a major retailer, she realised just how much they marked up prices. As a mum, she knew that she wanted to produce funky designs at reasonable prices. And that's exactly what they do. Make cute bibs that are reasonably priced and of a great quality. 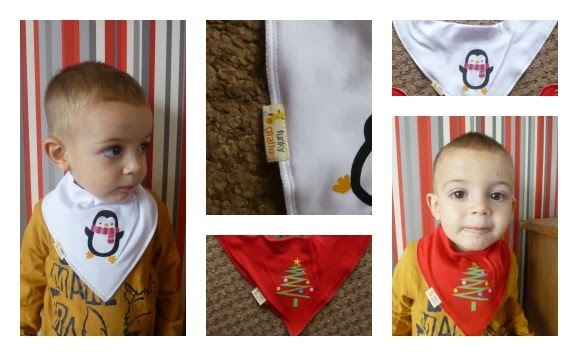 We were lucky to be sent 2 of their bandanna bibs from their new Christmas range. A lovely red bib with a Christmas tree on it and a white bib with a funky snowman. I loved the fact that they were a bigger fitting than normal bandanna bibs and so will fit for a lot longer and because they had 2 press-studs on each side means that they can be altered in their fitting for newborn babies right up to toddlers. The bibs are very bright and bold colours that stand out loads and the red looks extra Christmassy too. The tree and penguin prints are done using water based inks as the company only use inks that are completely non toxic, children will be chewing them and so Funky Giraffe wanted to take extra care when making their bibs to ensure that they were safe. I love the designs and they make us all feel extra Christmassy when Charlie is wearing them as it points out that Christmas is, in fact, nearly upon us. Each of the bibs comes with their unique, Funky Giraffe, label on the side so you know you are getting their great quality bibs, at a competitive price as always and you can see by the stitchings on the side, that they have taken care when making them to make sure the quality is of the highest standard. 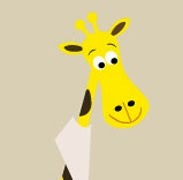 You can purchase the bibs and any other of their designs on the Funky Giraffe website direct. Now we don't live anywhere near the coast so we haven't actually been crabbing but we have received some lovely items from Gone Crabbing which are beautiful and great for the upcoming Christmas season. Gone Crabbing launched in 2008 by Susie Mason who was inspired by her home county and other coastal resorts she has visited in the UK and thus she created a range of gifts and clothing which shows off the Great British traditions and landscapes. 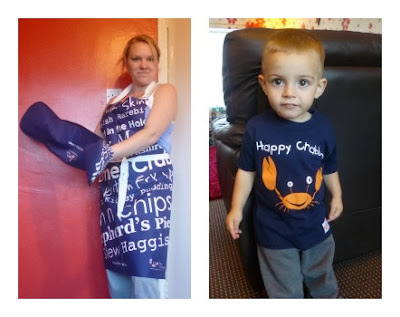 Gone Crabbing has its own little crustacean, known as Colin, who features across the whole of the brand. They have a whole host of items from clothing and beachwear to kitchen aprons and oven gloves. 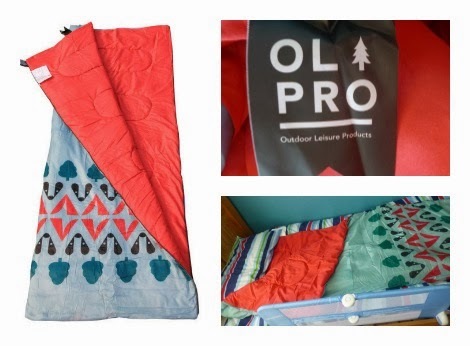 We were lucky to receive 4 items from their ranges. 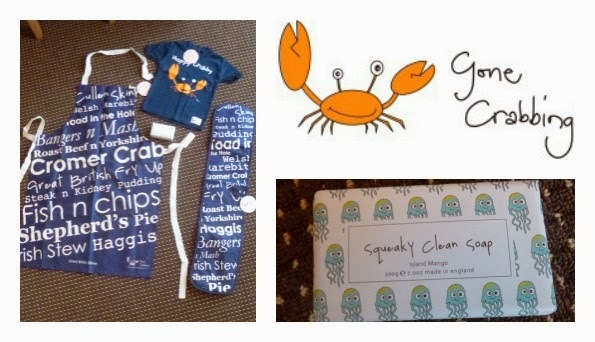 Squeaky clean Soap, Happy Crabby T-Shirt and Great British Dishes Apron and Double Oven gloves. The soap features John the Jellyfish on the wrapper and the soap inside produces a rich, creamy lather that smells so refreshing. Made especially for Gone Crabbing at an English soapery in the countryside and not tested on animals, the soap really does clean off all of the days hard work and leaves you with a lovely mango scent to finish. This t-shirt is actually one from an old collection but due to so many requests for it, Gone crabbing have reintroduced it back into their range. The t-shirt features Colin the crab and is navy in colour. Again, it has been made in the UK like the rest of the Gone Crabbing products. The Great British Dishes range is a navy set which comprises of an apron and double oven gloves to match. They have many of the nation's most popular dishes sprawled across them, with favourites such as Bangers n Mash. I love the design and think that many others will do too. The oven gloves are thick and very protective and the apron is very large and covers very well so no sneaky spillages will get past to mark clothing. I love the different ranges Gone Crabbing make and think that not only do they promote Great British items but actually make me reminisce about my days on the English beaches as a child. The kitchenwares will be perfect gifts for baking mad mums and we all know what important day is coming up soon... Christmas! I am sure to find gifts for a few people from Gone Crabbing and can't wait till the big day arrives. We always use bath toys to try and coax the boys into getting a wash and the Aqua Fun toys from TOMY work well to help ease them into the bath without a fuss. 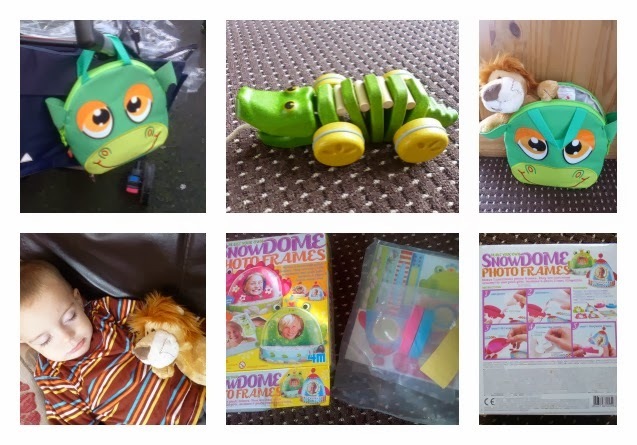 As part of our Official Blogger project, we received 2 of the toys from the Aqua Fun range. The Turtle Tots and the Surfin' Beaver. The Turtle Tots comprises of a mummy turtle with 4 little turtle tots. The turtle tots stick to the mummy turtle's shell with suckers and will also sucker to the bath and tiles too. The tots also squirt water to make bath time extra fun. Mummy turtle comes apart to reveal 4 different shaped pouring cup legs which are actually its feet. The feet come off and when filled with water, will shower the water out of the little holes. The legs also comprise of different shapes so can be fun and educational when putting the turtle back together by sorting the shapes into the correct places. The boys love this toy as not only do they get to play with them in the bath but they get to sort shapes, sucker toys and squirt water whilst also playing with the mummy turtle which floats along the water. The Surfin’ Beaver is a wind up toys that will paddle along the water using his tail and also sings a little surf song. I actually love this toy because it is the only electrical toy I have seen for the bath. I was surprised when I realised that it would sing a song whilst in the water. it is brightly coloured and very greatly detailed in design. When it is wound full and out of the water, the tail does move very fast but as soon as it hits the water it seems to slow right down and actually doesn't seem strong enough or big enough to give enough power to move the beaver. Although that is a disappointment to find that it doesn't actually work that well, my sons aren't really bothered as Charlie loves the noise it makes whilst flapping its tail and the cute song it sings whilst floating. This is quite a hard review and for a while I have put off writing it because it is difficult to explain that although the beaver doesn't work great, my kids still love it and the Turtle Tots toys is fantastic. You can see more of the Aqua Fun range on the TOMY website.